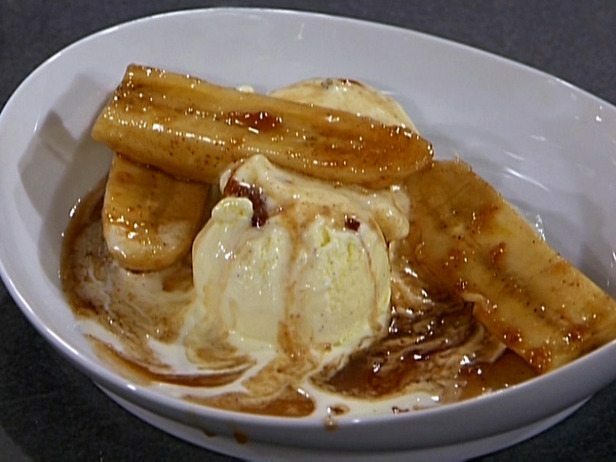 Mix contents of Bananas Foster Dessert Seasoning, stick of butter or margarine, and Â¼ cup of water in sauce pan. Heat for 3 minutes. Add 2-4 bananas sliced lengthwise and heat for another 3-5 minutes until bananas are tender. Serve over vanilla ice cream. Can also be served over pound cake, angel food cake, fresh fruit, or cheesecake.